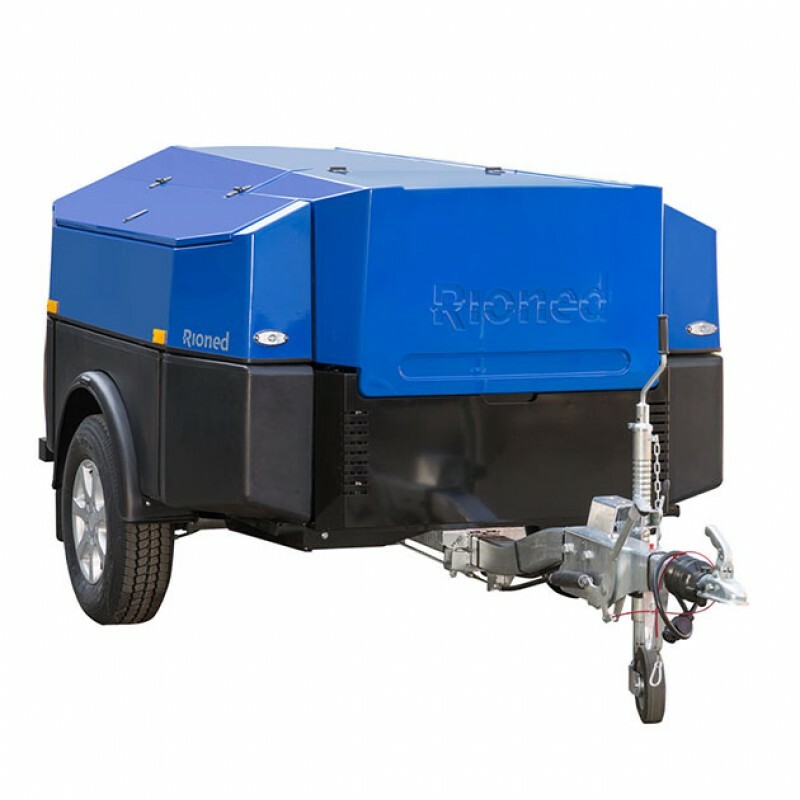 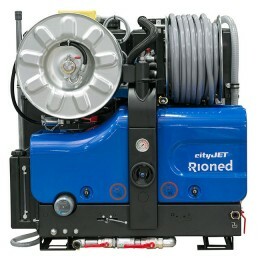 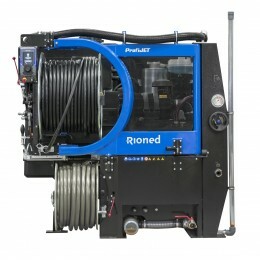 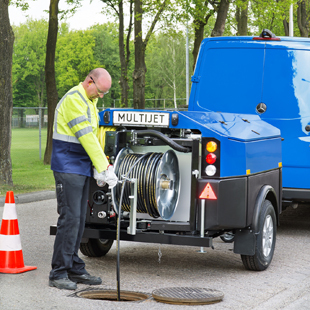 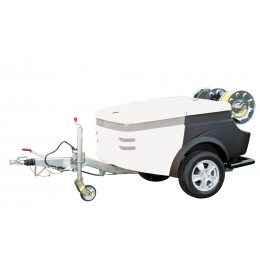 The Rioned MultiJet is a high pressure jetting trailer designed and built with our latest jetting technology and is suitable for unblocking and cleaning drains and sewers up to 600 mm. 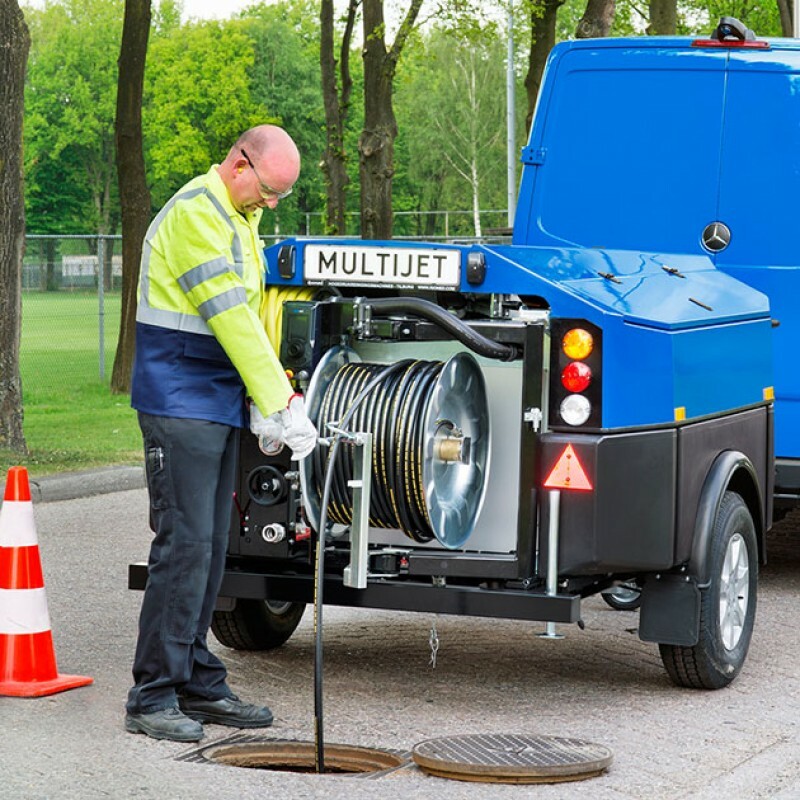 The MultiJet has two integrated 400 litre water tanks that are interconnected. 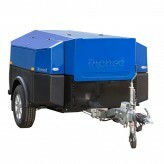 The unique design and low centre of gravity ensures excellent driving characteristics and road stability. 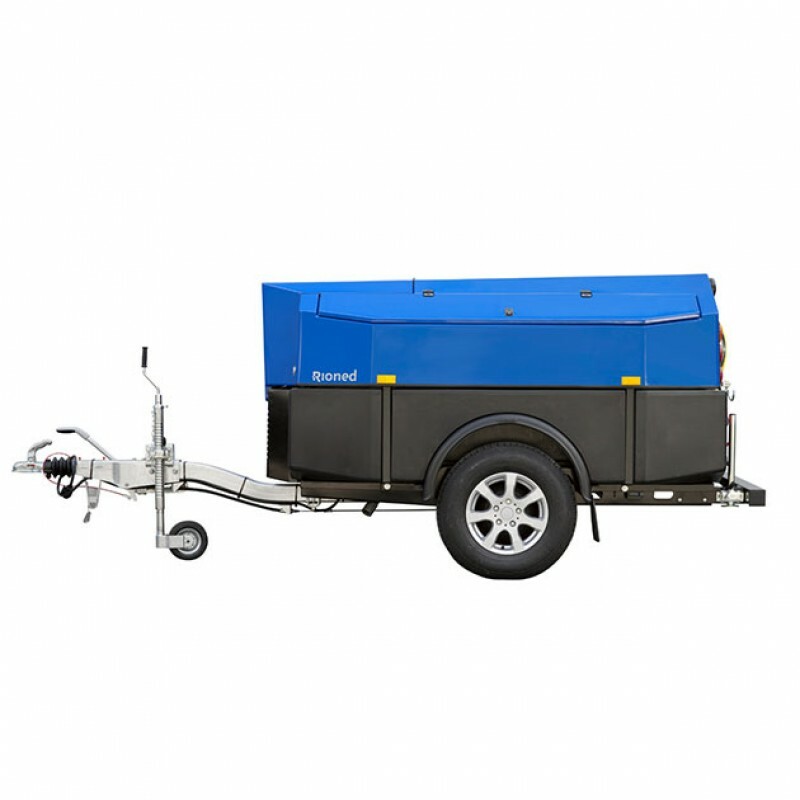 The aerodynamic design of the MultiJet contributes to lower fuel consumption of the towing vehicle. 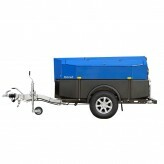 Noise levels are reduced to an absolute minimum by the use of a heat exchanger system to cool the engine. 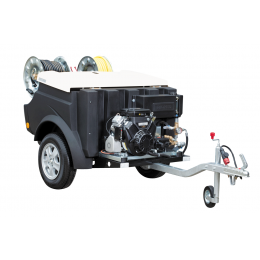 Two integrated and lockable tool compartments provide ample storage space for tools and other equipment.